OF ALL the numbers presented at TA2019 in Perth, these were some of the most sobering. 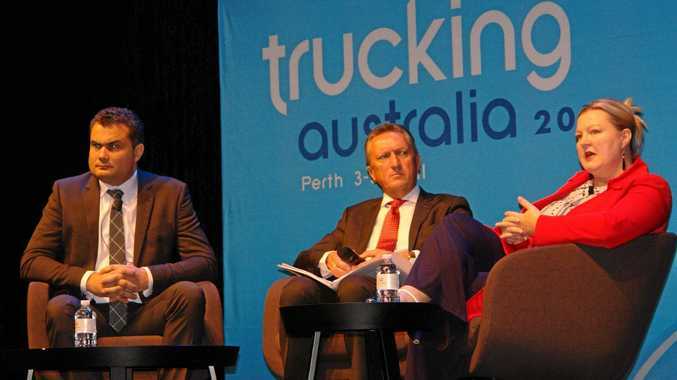 But both speakers in the Get the Latest Facts on Truck Safety session, NTI's Adam Gibson and the Toll Group's Dr Sarah Jones, said it was crucial they be confronted and discussed if we were to achieve our goal of zero fatal and serious injury crashes. In announcing NTI's latest Major Accident Investigation report, author Mr Gibson said there were also plenty of positives to come out of the 2017 figures, the result of studying 756 'major accidents'. "Encouragingly, we've seen the lowest number of fatigue-related crashes in the report's 16-year history,” he said. On the flipside, however, there had been a 60 per cent increase in mechanical failure losses, a topic close to the heart of the former mechanical engineer. Mr Gibson said there was also a lesson to be learnt around what regulators check when they inspect a vehicle. In revealing the findings of her 10-year study of fatalities, Dr Jones said of the 127 fatal incidents involving Toll, one in five was suicide by truck. Of the Toll drivers who lost their lives, nine per cent were as result of natural causes, most of which were heart-related. "I've extrapolated this to the end of 2018 and this figure is on the rise; it's now at 12 per cent,” she said. "Is assessing fitness to drive adequate for our industry? "Why are fitness for driving standards required in aviation, maritime and rail but not in road transport? Why should it be different? Toll is now working with medical consultants to develop its own fitness-for- duty standards.